THE Bulawayo City Council is crafting a policy to deal with residents who construct or occupy houses and churches without ablution services. This comes at a time councillors have raised concern over a growing trend where residents are constructing and occupying homes with no toilets, against council by-laws. According to the latest council report, residents are illegally occupying areas like Mqabuko Heights where according to council, there is no water connection. Ward 4 Councillor Silas Chigora said a policy was needed to help the local authority deal with law defying residents. “Council should consider drafting a policy and a guideline on what should be done in instances involving churches and incomplete structures. Mqabuko Heights has no water connections but despite this fact, there are tenants occupying properties in that suburb,” he said. 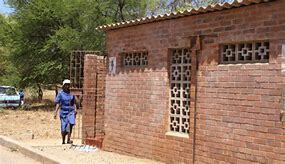 Bulawayo Deputy Mayor Councillor Tinashe Kambarami said no one should be allowed to start constructing any structure without toilets. “Council building terms and conditions should ensure that construction does not start without ablution facilities in any place”. The Director of Housing and Community Services, Mr Dictor Khumalo, said council was facing a challenge in the enforcement of by-laws in dealing with such cases. “For construction purposes council allows a storeroom and a security guard on the stand as well as temporary toilet constructed on manholes. However in most cases the temporary toilets are never constructed and at the same time it takes long for the structures to be completed due to the economy,” he said.